The biggest and most obvious feature about the HandEra compared with any other PDA on the market is its high-resolution display. 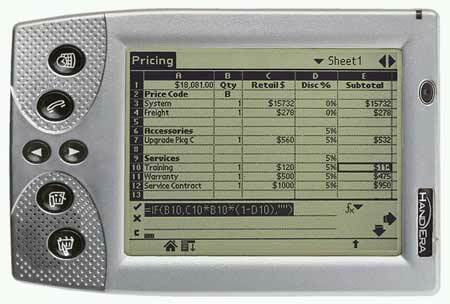 The QVGA screen offers three times the resolution of most regular PDAs - Currently, only some of the Sony CLI� models feature the high-res screen. The HandEra 330 has built-in PalmOS extensions to run applications that support high-resolution modes. Basically, if any software you've downloaded supports the option on the CLI�, it should also run in high-res on the HandEra. For all the rest of your legacy applications, however, the HandEra can center the window, align it to the upper-left, or scale it to fit.